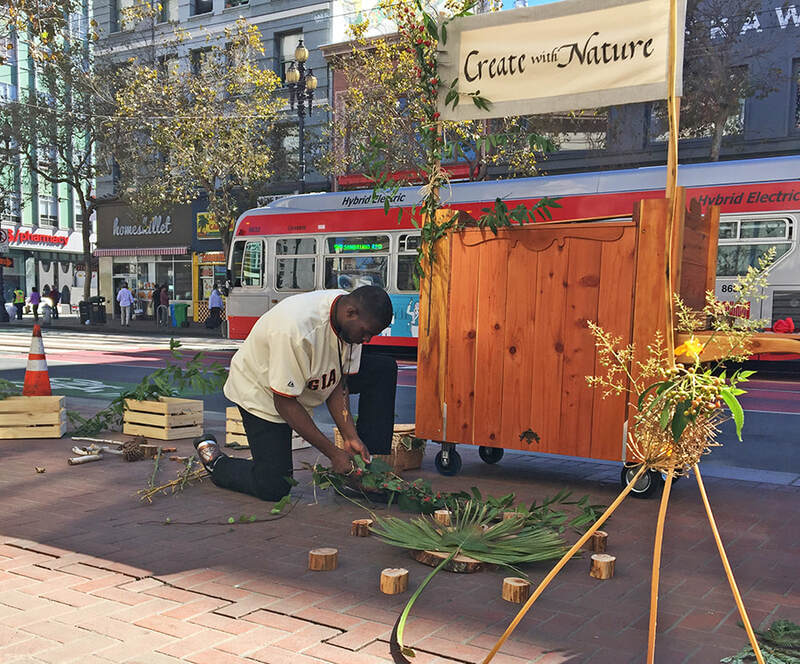 In 2015 and 2016, I collaborated with Mary Roscoe (Bay Area Children and Nature Collaborative) and Damien Raffa (Presidio Trust) to bring free public create-with-nature activities to the heart of downtown San Francisco. The custom-designed and built Create-with-Nature Cart, with its bins of durable natural materials, was donated to the San Francisco Recreation and Parks Department, for ongoing use at the Tenderloin Recreation Center and other sites. Read More. 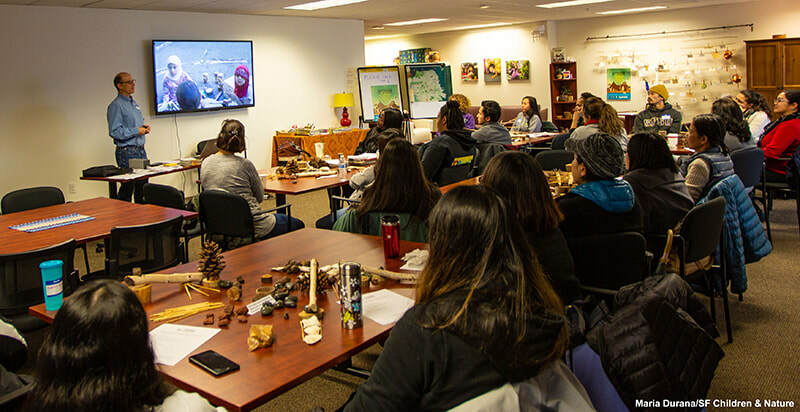 San Francisco Children & Nature training for staff of San Francisco Office of Early Care and Education and Directors, Teachers, and Staff from working in Early Care. Co-presented with Maria Durana, this training - Pinecones, Leaves and Tree Cookies: Introduction to Nature Play - covered the importance of nature play in childhood and methods for promoting nature play in early care settings. Read More. Join us in the Create-With-Nature Pathway of Redwood Regional Park. The Create-With-Nature Pathway is an ongoing participatory public art project with a purpose: running over 150 yards through a redwood grove, the pathway borders are designated spaces for the public to make ephemeral creations using sticks, redwood needles, pine cones, and more. The border edges, made from large tree limbs, in turn serve to protect and bring attention to the ongoing effort to restore the vegetation under the redwoods with indigenous ferns and other native plants. The current pathway was largely built during five free community events in 2013, 2016, and 2018, and now it's time to upgrade and repair the pathway, continue the restoration work, and create ephemeral art together with nature. Limited to 30 participants - REGISTRATION REQUIRED at THIS LINK. All ages are welcome, but be aware that some of us will be lifting logs and using tools during our building time. 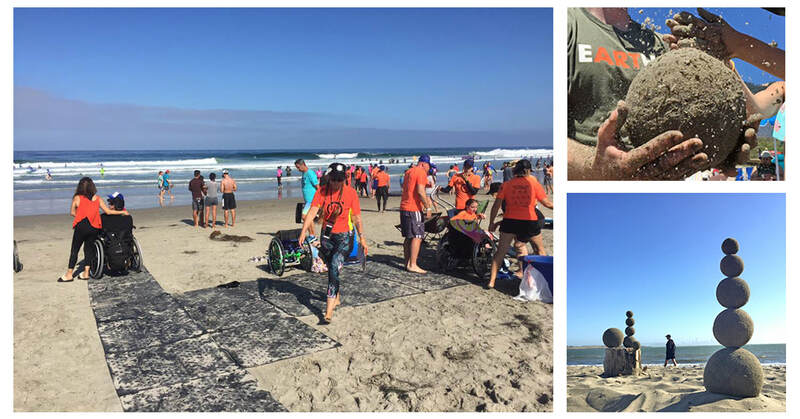 Come try out the Beach Trax foldable portable access pathway at Crissy Field East Beach in San Francisco, California. The pathway will be set up from 12:30 to 3:30pm and all are welcome! 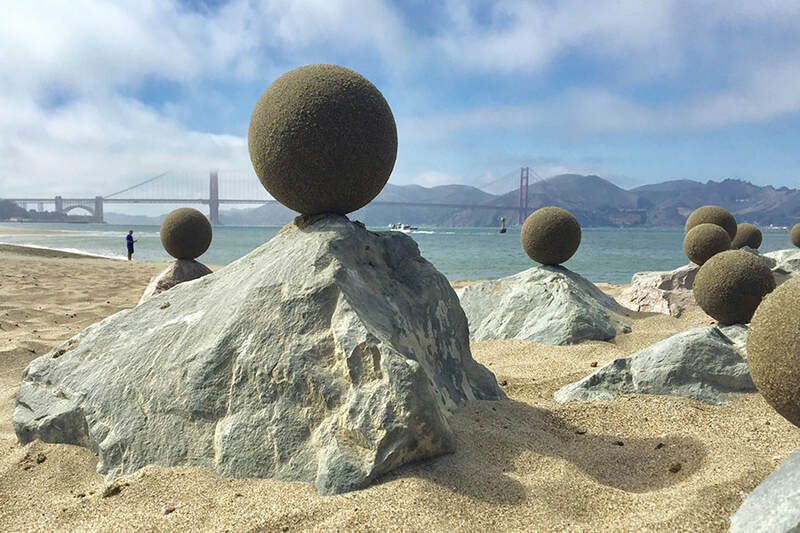 Those interested from 2:30pm-3:30pm can join in sand sculpting and sand-globe making with environmental artist Zach Pine at table level and at ground level. We will have some tools for sculpting and adaptive equipment for holding tools, but you are encouraged to bring your own. Join in and create collaboratively with natural materials provided. While you are visiting, you can also enjoy the museum's dedicated outdoor play and learning environment in "Bill's Backyard" and the many indoor hands-on exhibits. See the Children's Discovery Museum event announcement for more info.